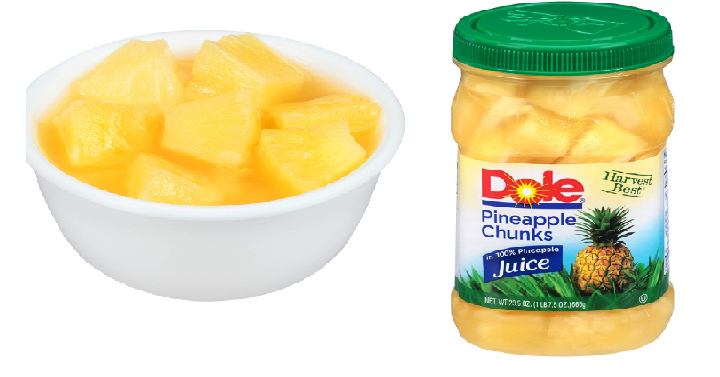 Dole Pineapple Chunks, 23.5 Ounce Jars (Pack of 8) Only $11.88 Shipped! Stock up on pineapple with this great deal. Amazon has the Dole Pineapple Chunks, 23.5 Ounce Jars (Pack of 8) for only $11.88 Shipped when you use subscribe and save. Keep in mind, Amazon pricing can change at any time! Don’t wait to purchase this deal or it might be gone when you come back!